Café Du Monde is a New Orleans institution that has been serving sugary biegniets and chickory coffee for more than a hundred years. The Original Café Du Monde Coffee Stand was established in 1862 in the New Orleans French Market. 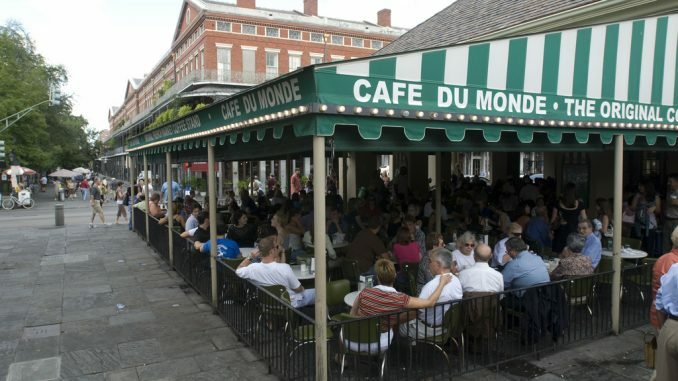 Its simple menu of beignets and drinks has changed very little since opening and with the limited offerings Café Du Monde has become one of the top tourist attractions in the city. The building that houses Café Du Monde was built in 1813 after the previous building was damaged beyond repair by a hurricane in 1812. The French Market cafe is open 24 hours a day, seven days a week and only closes on Christmas day (or when the weather demands). In the 1800s, the port of New Orleans was a major hub for the coffee industry and was particularly important in the importation of coffee from South America. As a result of being such an important coffee importing region, coffee was extremely popular and small stands popped up across the city. In 1862, Fred Koeniger opened his stand in the Butcher’s Market and Café Du Monde has served market patrons ever since. Café du Monde was one of two similar coffee and beignet shops in the old French Market. The other shop was the Morning Call, and though it was established in 1870 it moved out of the old French Market in 1974 leaving only Café du Monde to provide fried doughnuts covered in powdered sugar to the hordes of tourists and locals alike. The original location in the French Market is at 800 Decatur Street. In 2001 the cafe was closed for one week after a kitchen fire. 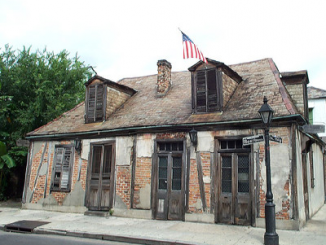 The only time it was closed longer was during the 2005 recovery from Hurricane Katrina. In 2007 a New Orleans rabbi made it his personal mission to share his city with Jews around the world and since just before Hanukkah 2008, the mix for the beignets have been certified kosher. The customary drink to accompany beignets is a cafe au lait. In 1988 iced tea and soft drinks were added to the menu. Café du Monde is only located in Louisiana and Japan. Since 1942 the Fernandez family has owned the cafe and has been responsible for its international growth. Café du Monde served its first black customers on July 3, 1964, the day after President Johnson signed the Civil Rights Act.